No wires, no drilling & no monthly fees. Our new battery powered wireless security camera is the latest way we are revolutionizing home security. 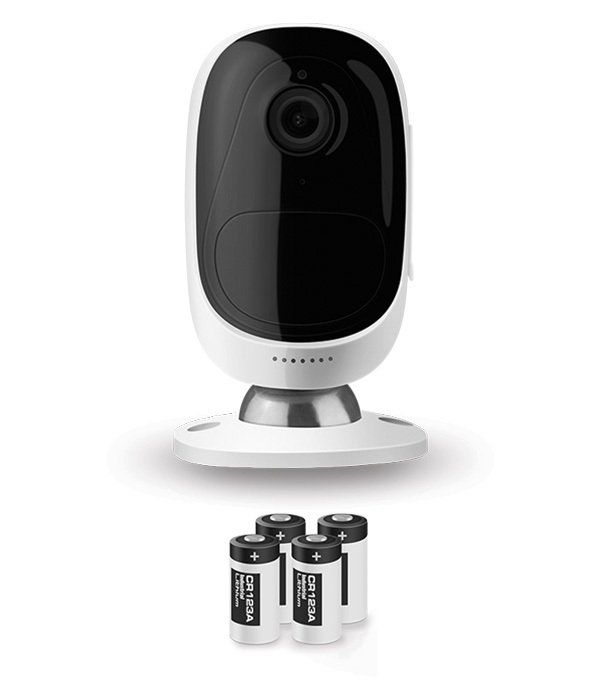 A full-featured, versatile wireless security camera that works both indoors & outdoors. Free from all wiring hassles and ugly cables. The way wire free should be. Place the camera in the baby’s room, the garage, the porch, indoors or outdoors. Built-in power saving technology will save you from frequent battery changes. Advanced sensors detect movement resulting in almost no false alarms. Hear whats going on in your home and talk back with the built-in mic & speaker. An IP65 rating means the camera will work rain or shine, indoors & outdoors. See the details with crystal clear images and video with true 1080p Full HD. Instant email, push notifications and sound alerts whenever danger is detected. Built-in advanced night vision lets you see up to 33ft clearly, even in the dark. A wider field of vision provides you with more coverage and reduces blind spots. Get instant alerts when your batteries are getting low so you won’t miss a thing. Access your cameras remotely and livestream through the mobile app. Motion events can be recorded on an SD card with no monthly cloud fees. The camera wakes up instantly when motion is detected or live streaming is activated. Store all your motion events on an SD card (Supports up to 64GB of capacity). Attach it to the magnetic base and rotate it any direction. Get the perfect angle. Equipped with a smart PIR motion sensor which offers almost no false alarms and no human movement can slip through. Receive instant app push notifications, email alerts and sound alarms when motion events are detected. Get motion snapshots sent to your email address when there are motion events. A push notification is sent to your smartphone or tablet when motion is detected. A built-in Siren will sound automatically when motion is detected. Battery-operated, equipped with a smart sensor and features WiFi support. When not in use the camera will go into a standby mode and it will wake up immediately via motion detection and live view from a phone. When motion is detected, the camera will wake up at immediately & capture the event. Once everything is safe and sound, the camera will go into standby mode, which uses little battery power. 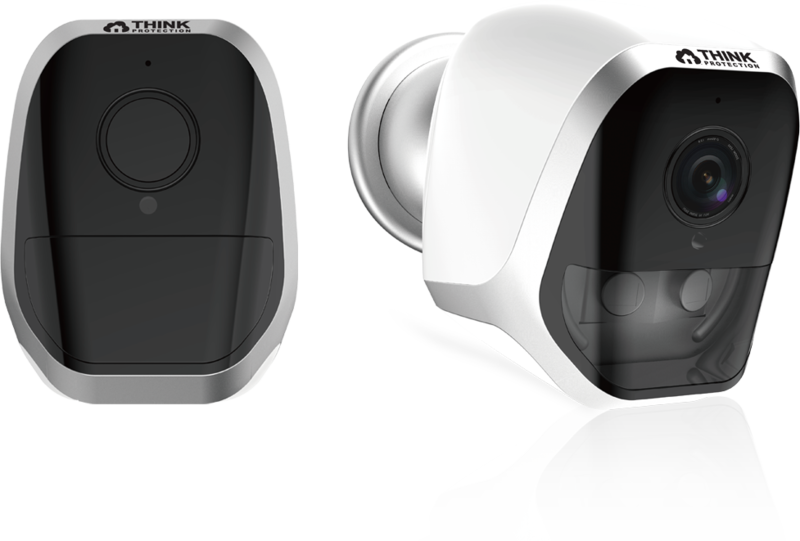 When motion is detected, the camera will inform you in real time with a variety of alerts. Email motion snapshots, push notifications, built-in siren & video recording directly to an SD card. Get a live view of the camera from your phone anytime and anywhere. Even from thousands of miles away, just a tap on your phone and the camera will wake up at once for live streaming. When in the live view mode, you can not only see clearly what’s happening but also listen and even talk back. Welcome your kids home, tell your dog to get off the couch, and even warn any uninvited guests.